Pink bougainvillaea smothers the wall that separates the home of Roberto Fabelo from the street close to the beach in Miramar, a pleasant neighbourhood of Havana where the embassies are. But the gate quickly swings open and he is waiting to welcome us inside. In Communist Cuba, where everyone ? doctors, labourers, teachers ? is technically meant to earn the same wage of about $20 (?12) a month, there are a few classes of citizens which have long been allowed to do a little better: sports stars and artists. That may provide a model for the Cuba of the future. For sure, it includes Fabelo, whose works tour the globe and are sold by Christies and Sotheby’s. “It’s true, we are given a great deal of autonomy,” Fabelo says. His studio at the back of the house is crammed with half-finished canvasses and assorted sculptures that have come home from exhibitions. It is hard not to miss the giant resin cockroaches with human heads on a terrace outside. The grotesque creatures were until recently attached to the fa?ade of an art museum in Havana. The life of the Fabelo family is to be envied ? and not just by ordinary Cubans. The artist has recently been able to take his 19-year-old son ? who is also named Roberto and will soon go to university here to study art ? to the Louvre and the great museums of Barcelona. Considered by some to be Cuba’s greatest living painter and sculptor, Fabelo also has a second studio he is free to work from ? in Panama. “I am permitted to save money here in Cuba and abroad,” says Ernan Lopez-Nussa, a pianist who has just finished accompanying the singer Omara Portuondo, 80, one of the last surviving links to the original Buena Vista Social Club. (She appeared in the Wim Wenders film of the same name and sang on the 1996 album.) Lopez-Nussa, whose French-born mother fought for Fidel Castro in the Cuban revolution, also lives in Miramar, in a penthouse provided by the state. The freedom to travel might be one of the greatest privileges accorded Cuba’s best artists. Later this month, New York will host the largest festival of Cuban arts it has ever seen. Si Cuba! 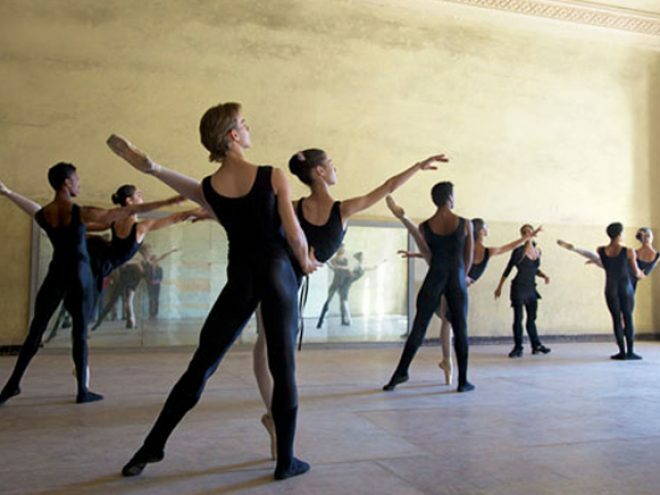 will bring hundreds of Cubans to the city with art exhibitions and performances by the National Ballet of Cuba and the rumba and dance troupe, Los Munequitos de Matanzas. Exchanges such as these between two countries that on all other levels are at angry odds recall the ping-pong diplomacy that helped thaw American-Sino relations in the 1970s. They might eventually help smooth the path towards a broader improvement in political relations, even the end of the five decades of the United States’s trade embargo. The risk for Cuba has always been artists possibly defecting, but this rarely happens. Why does Lopez-Nussa, who has French parentage, after all, keep returning? He gives a quick and eloquent answer: “In Cuba I have time, time to do what I want to do. In other countries, no one has time.” His is a different kind of freedom. Inside Cuba, meanwhile, the arts scene is itself helping to mirror a gradual easing by Raul Castro of Cuba’s restrictions on commerce and freedom of expression. As we talk in his father’s studio, the younger Fabelo’s studies a text on his iPhone. “Five years ago if I saw someone with a cell phone I thought they must be really rich,” he says. Today, they are everywhere. “Even the people digging the roads have one.” More importantly, as he prepares to go to university, is the new atmosphere of relative tolerance in which he and his other young artist friends are working. “We are more free now in what we can paint and exhibit,” he says, even if “some limits” remain. Other conversations in Cuba tell a similar story. For instance, it is no longer impossible to create art ? including in writing and cinematography ? that carries criticism of the state. His father suggests that as Cuba prepares for a Communist Congress next month ? which will endorse a limited, parallel free-enterprise economy ? the country’s artists might help show the way. “In Cuba we have to change and people have to learn how to survive for themselves ? we are the model for that,” he says. It is an encouraging thought, but others in Cuba will be sceptical. “Things will change, but they will change very slowly,” Lopez-Nussa says.